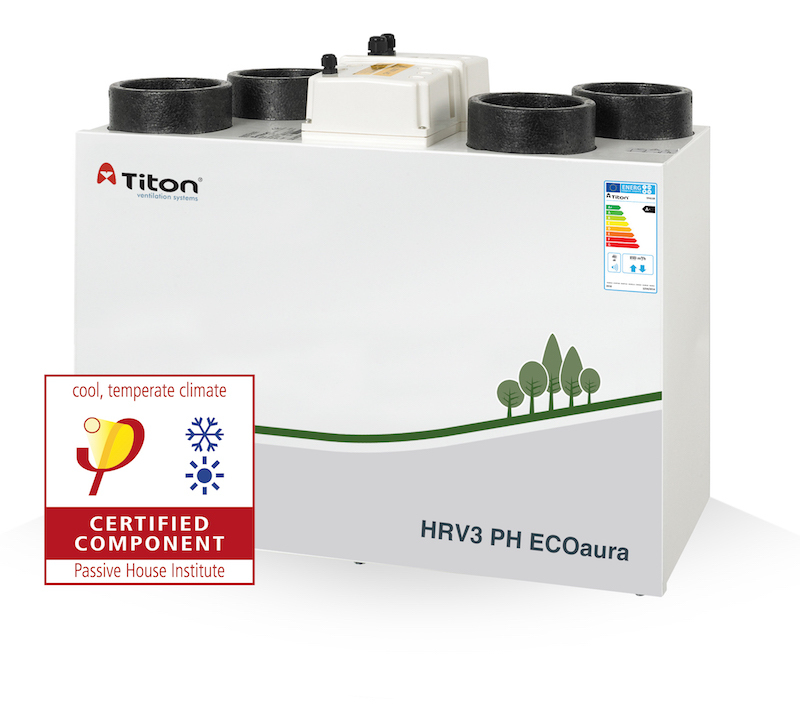 The new HRV3 PH ECOaura MVHR unit from Titon has achieved Passivhaus accreditation. The unit, when used with Titon’s aura-t touchscreen or aurastat VT controller, is described as providing exceptional indoor air quality and energy efficient performance within a building. The HRV3 PH ECOaura is a modified design of Titon’s existing HRV3 Q Plus Eco unit, with the main addition being a new duct heater as featured during testing. This ensures that cold air does not return into the system, allowing balanced ventilation at low temperatures; otherwise, the cold supply must be reduced to prevent any moisture in the stale extracted air from freezing. 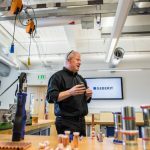 In turn, this eliminates any risk of the heat cell freezing and stopping the unit from working. As a result, the ventilation system can run 24 hours a day, seven days a week, even if the temperature drops to -15ºC. The HRV3 PH ECOaura offers a 100% airflow diverting summer bypass and also includes intelligent humidity options. The Passivhaus versions are fitted alongside either Titon’s aura-t touchscreen or the aurastat VT controllers.